Saints: The Standard of Truth is the first of four books that tells the story of Mormonism from 1815 to present day. But a new book of history, published this week by the Church, shares all of that in unprecedented detail. 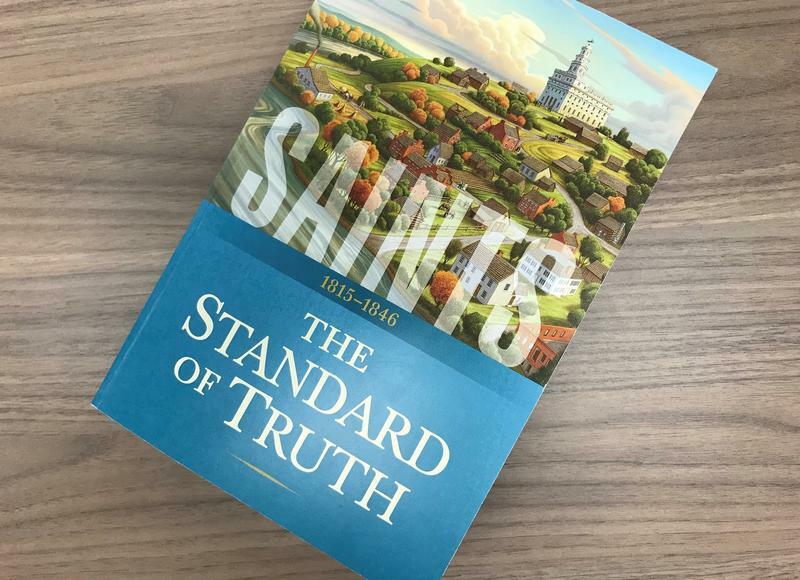 "Saints: The Standard of Truth" is the first of four volumes chronicling the rise of Mormonism in the early 1800s to the Church in the present day. The newly published book focuses on the years 1815-1846, roughly the lifetime of Joseph Smith. Church Historian Steven Harper, one of the book's co-authors, said "Saints" doesn't shy away from tough topics. "There's no reason to be afraid of them," Harper said. That includes the friction between Smith and Hale over his decision to be polygamist. Smith saw that as a direct command from God, a claim that Hale wavered between reluctantly accepting and rejecting outright. "Torn between the Lord's mandate to practice plural marriage and Emma's opposition, Joseph sometimes chose to marry women without Emma's knowledge, creating distressing situations for everyone involved," according to the book. Patrick Mason, a professor of Mormon Studies at Claremont Graduate University, said he was surprised at the honesty he found in the writing. "They really reveal how problematic it was," Mason said. Another detail included is that some of Smith's wives were married to other men at the time of their ceremonial sealing to him. Uncovering these details has been known to derail faithful Mormons and even lead them away from the Church. But the proliferation of historical information online over the past 20 years has caused Mormon leaders to reconsider their approach. In 2013 the Mormon Church took initial steps in historical transparency by releasing online essays that touched on controversial topics like the previous priesthood ban for Black Mormons and disputes over the historical accuracy of the Book of Mormon. This newest publication continues that gradual openness. "Some people are going to read this book and be troubled by it," Mason said. "It might even lead a few people to raise questions in their mind. It might even lead a few people to leave the Church." Despite the possible challenges to some Church members' faith, Mason sees this as a positive change for the Church in the long run. He said by exposing Mormons to challenging facts early on, it might keep them from turning and running when they do their own personal digging.